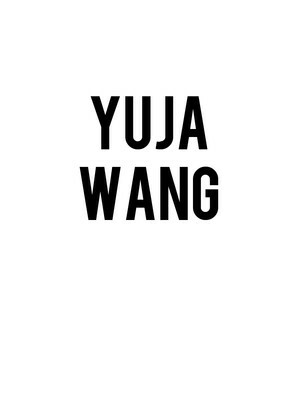 A player of peerless speed and insight, Yuja Wang is one of the finest pianists alive today. Born in Beijing, she began piano lessons at the age of six, and was instantly enthralled by the instrument. Completing her formal education at the Curtic Institute for Music in Philadelphia, it wasn't long before she was performing with likes of Gustavo Dudamel and et al. 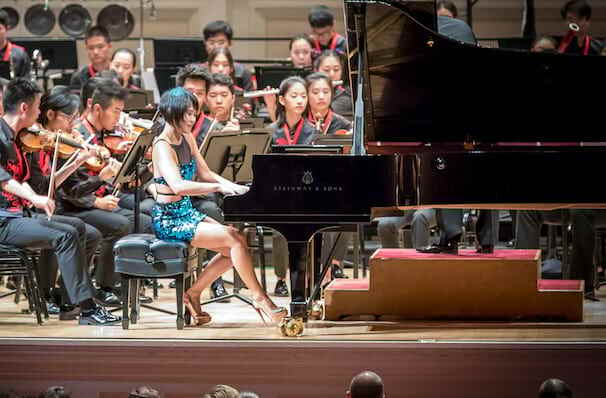 Of her performance of notoriously tricky Beethoven's Hammerklavier Sonata in 2016, the New York Times wrote: "Ms. Wang's virtuosity goes well beyond uncanny facility." These select number of North American dates will see Ms. Wang playing works from all the great composers! Don't miss this stunning act of talent when it comes to a city near you. Sound good to you? Share this page on social media and let your friends know about Yuja Wang at Isaac Stern Auditorium. Please note: The term Isaac Stern Auditorium and/or Yuja Wang as well as all associated graphics, logos, and/or other trademarks, tradenames or copyrights are the property of the Isaac Stern Auditorium and/or Yuja Wang and are used herein for factual descriptive purposes only. We are in no way associated with or authorized by the Isaac Stern Auditorium and/or Yuja Wang and neither that entity nor any of its affiliates have licensed or endorsed us to sell tickets, goods and or services in conjunction with their events.